Going somewhere? Whether it be a trip to the market or a vacation of a lifetime, put something comfortable on your feet. Packed with more than good looks, this everyday clog is loaded with features designed to make each step a more pleasant experience. From the treaded outsole to the shock-absorbing insole, the Traveltime is crafted with walking in mind. Plus, a deep heel cup keeps the shoe securely on your foot while maintaining the open, airy feel you love. Slip it on and get going — life is calling! 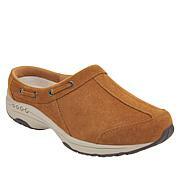 These are my second pair; perfect for walking or jobs where you have to stand on concrete floors. I will definitely order again! I love these and own many in different colors. I started with a multicolored one and after wearing around the house and while running errands, I found them to be super comfortable. The best part was the compliments. The ones that are multicolored on top get a compliment every single time I wear them in public. I'd like to see more multicolored and possibly ones from the past few years. 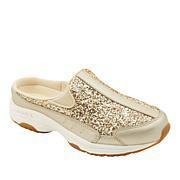 These shoes are very comfortable and Cute as well. Love the stripes. Bought both colors. 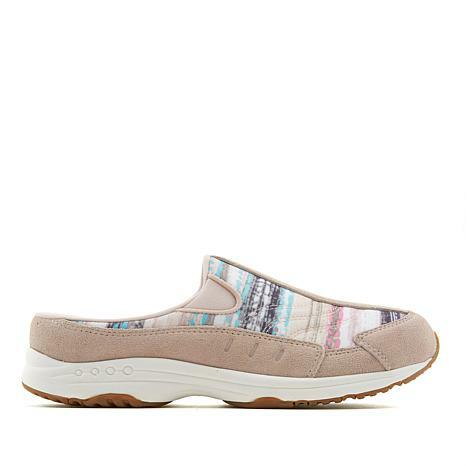 Need a summery closed-toe shoe for warm weather? The Portina has a breathable, perforated upper and braided rope welt for classic espadrille style. 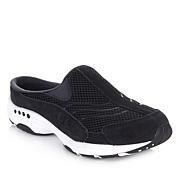 It's super flexible and lightweight, with padding and arch support for all-day comfort.